Baix Emporda is a county within the province of Girona on the Costa Brava, situated at the northern-most-point of Catalonia. Medieval villages, pine-clad hillsides sloping down to crystal clear bays and picturesque fishing villages make up this enchanting region; it’s a wonderful place to explore, enjoy leisure pursuits in the natural countryside and lose oneself completely. Girona Airport is just 16 kilometres away and Barcelona, capital city of Catalonia is an hour’s drive from Baix Emporda. La Bisbal is the capital of Baix Emporda and most famous for its pottery and ceramics industry. Everywhere you look you will find examples of the town’s craftsmanship. Pottery museums, shops and factory are all open for business and have made this a thriving tourism centre in the local region. Figueres, county capital of Alt Empordà, is situated around 20 kilometres inland. The town is has deep Catalan roots and is best known as the birthplace and home of Salvador Dalí. 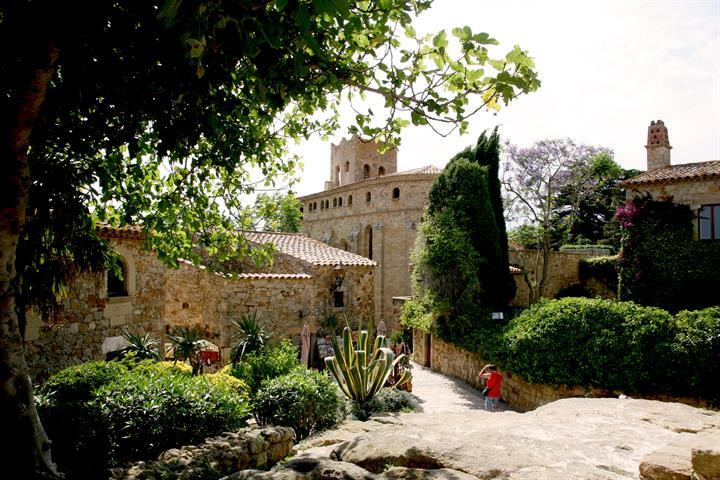 The old medieval town of Pals is set high on a hill overlooking the stunning landscape of Baix Emporda. The town has retained much of its old medieval and Catalan character. Lying on the north bank of the Ter River, just a few kilometres inland from the coast and the resort of L’Estartit is charming town of Torroella de Montgri. The town was originally a royal port and has retained much of its medieval splendour within its old quarter. There are many inland Medieval villages along the route, where you can enjoy wandering medieval streets and visiting ancient churches and monuments. We recommend that you head off the beaten track to see: Verges, Cruilles, Torroella de Fluvia, Sant Julia de Boada, Peratalladda and Canapost. The municipality of Calonge-Sant Antoni combines the old inland village of Calonge, with its noteworthy medieval castle and the coastal village of Sant Antoni, which enjoys a pretty promenade, where you can stroll and take in the attractive coastal views; the neighbouring bays are also worth a visit. 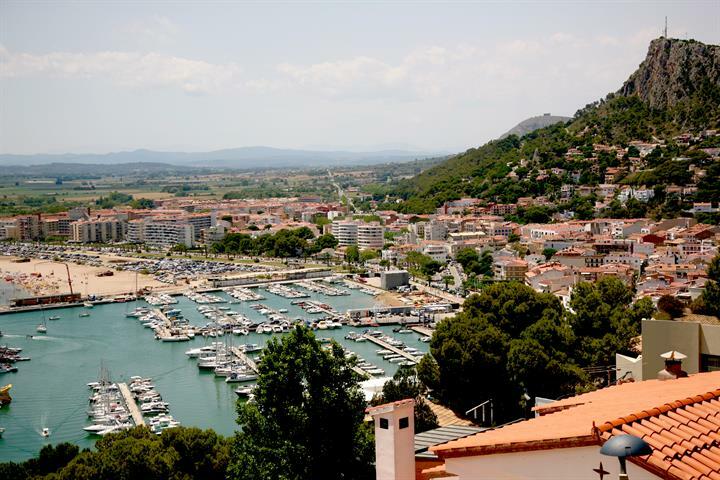 Sant Feliu de Guíxols is a seaside town with true Catalan character, it certainly doesn’t rely on tourism, but is a wonderful holiday destination, enjoying a privileged position, surrounded by forests, tranquil bays and beaches. Platja d'Aro is a modern, cosmopolitan town, neighbouring the elegant town of S'Agaró, in south east Girona. This fabulous beachside town, also boasts a wonderful and historical town centre, which has preserved well its medieval charm. 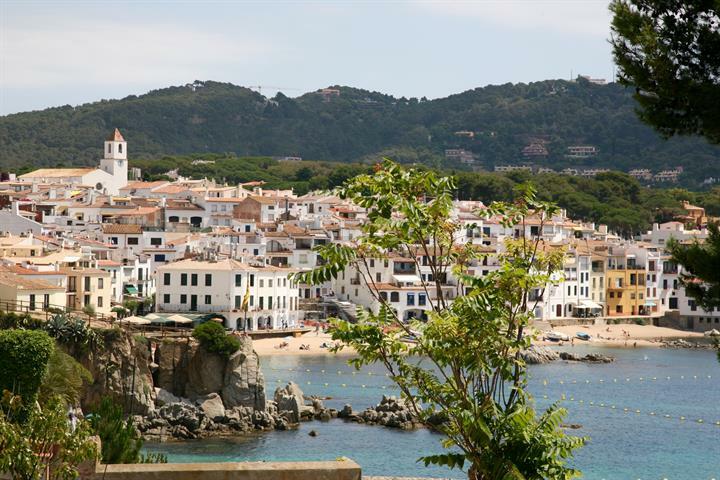 Heading along the coast is the town of Palafrugell is surrounded by some of the most attractive bays in Spain, Calella de Palafrugell being one. This once small resort, is becoming increasingly popular. We highly recommend visitors take the headland from Llafranc to Calella de Palafrugell, it’s a very pleasant evening stroll before dinner. From here you can go on to enjoy all of the Costa Brava’s most beautiful fishing villages and bays, including: Llafranc, Tamariu, Aiguablava, Fornells, Sa Tuna, Aiguafreda and Begur. The whole region of Girona is picturesque, an amalgam of two natural elements: the mountains and the Mediterranean Sea. Unforgettable views of rugged cliffs, coves and mountain backdrops, in between white-washed medieval villages and fishing villages break up the natural landscape. Salvador Dali was inspired by the picturesque coves and bays which are typical of the coastal stretch of Baix Emporda. Pine clad hills leading down to sandy bays, with crystal clear waters, perfect for snorkelling and scuba diving. Located just off the coast are the Mede Islands, a small group of protected maritime islands, with an important biological diversity. Two small islands and tiny islets and reefs make up the Mede Islands; there is also a submerged zone, which is also protected. It’s an ideal spot for diving. The gastronomy of Baix Emporda is rich and varied. It’s cuisine has been titled ‘sean and mountain’, as local produce comes from both the land and the sea. Visitors can enjoy a typically healthy Mediterranean diet. The rice from Pals is especially recommended, as are Prawns from Palamós. Baix Emporda enjoys a mild temperate and Mediterranean type climate, characterized by hot, dry summers and mild winters. 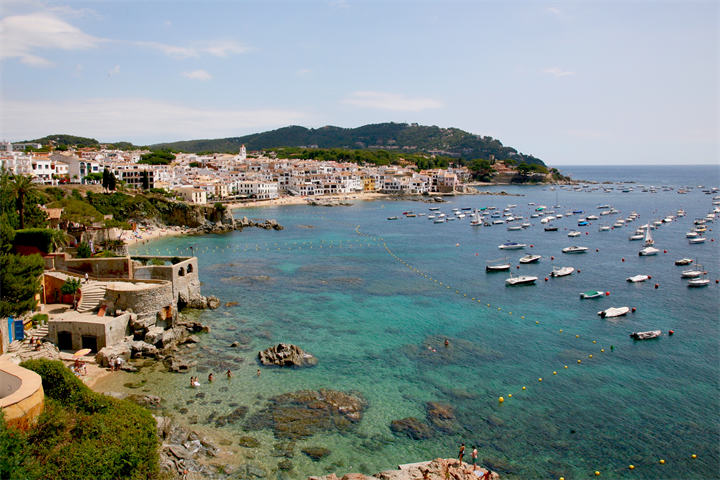 Discover everything that Calella de Palafrugell has to offer if you're travelling to the Costa Brava with your family. Whether you love art, history, nature, beach, good food or cultural events, you will find it all in this nice medieval village. Including rice fields! Even for the most demanding children there's plenty to keep your kids entertained during the summer in L'Estartit. Make the most out of your holidays! The east coast of Spain is one of those places that is not on the radar of many tourists, but it should be! 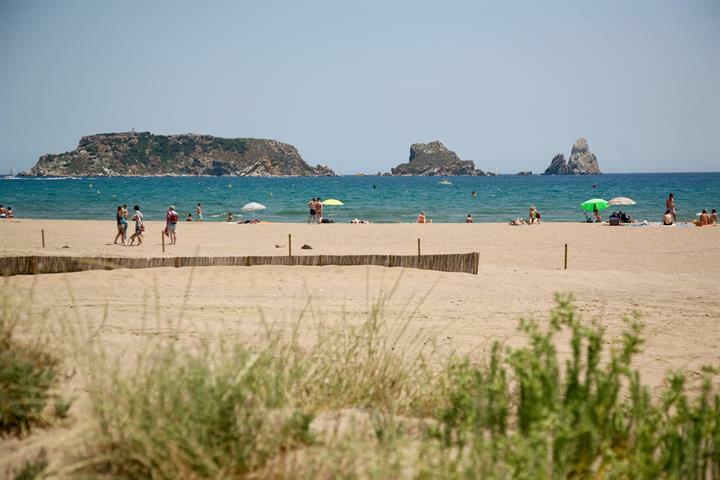 Discover all about the L'estartit beaches. 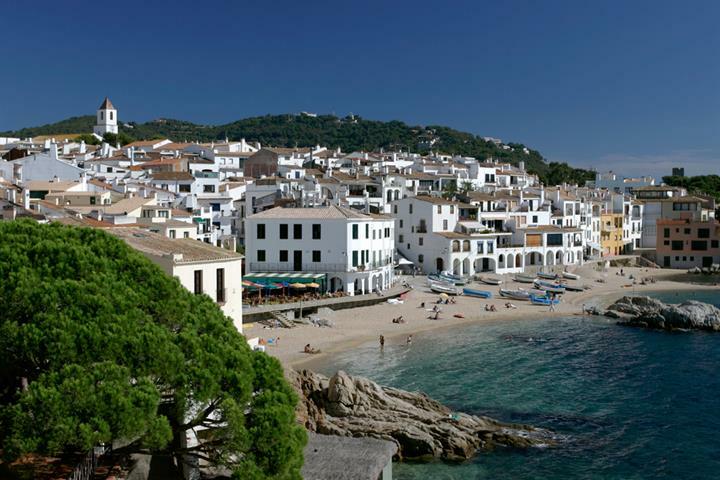 Join us on a tour of Calella de Palafrugell, the pearl of the Costa Brava! Discover the best things to see and do to experience the best holiday ever!